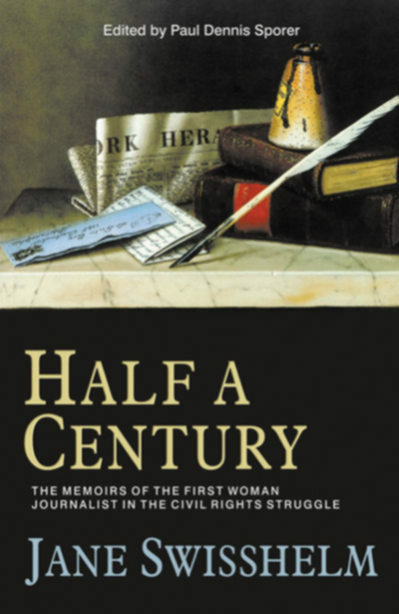 Half a Century is the compelling autobiography of a woman whose name has generally been forgotten, but who helped set the stage for the civil rights activities in the later 19th century. As well as being an activist in the campaign against slavery, Jane Swisshelm became an accomplished newspaper publisher and editor, and also served as a nurse during the Civil War. She was the first woman in America to integrate such diverse positions. Apparently not content with her role as a pioneer, she went further to make her mark, by imbuing her newspapers with a strong moralistic "edginess". The beginning of her career was marked by sending incisive and provocative articles to antislavery newspapers. Using the money gained from her mother's legacy, in 1848 she started her own publication. She expanded the ambit to cover various social, religious and political issues. Her language was so trenchant, that she grudgingly earned the respect of, and some would say instilled fear into, other newspaper editors. Swisshelm's criticisms ignored the intricacies of ideology and were more preoccupied with denigrating perceived character flaws. Her interpretations of current events made her famous, but eventually caused serious harm to her career and personal life. The breakdown of her marriage was possibly the consequence of her idiosyncratic form of commentary, but her ejection from government service was definitely the result of it. Half a Century is a remarkable memoir, full of redemptive hope, moral strength, and idealistic conviction. Other related titles: A Land with Ruins, by Belle Kearney; Tupelo, by John Hill Aughey; End of an Era, by John Sergeant Wise; Newer Ideals of Peace, by Jane Addams.